Enough with the introductory texts... Here is the official title reveal and teaser poster for Star Wars Episode VIII, or more officially known as Star Wars: The Last Jedi. 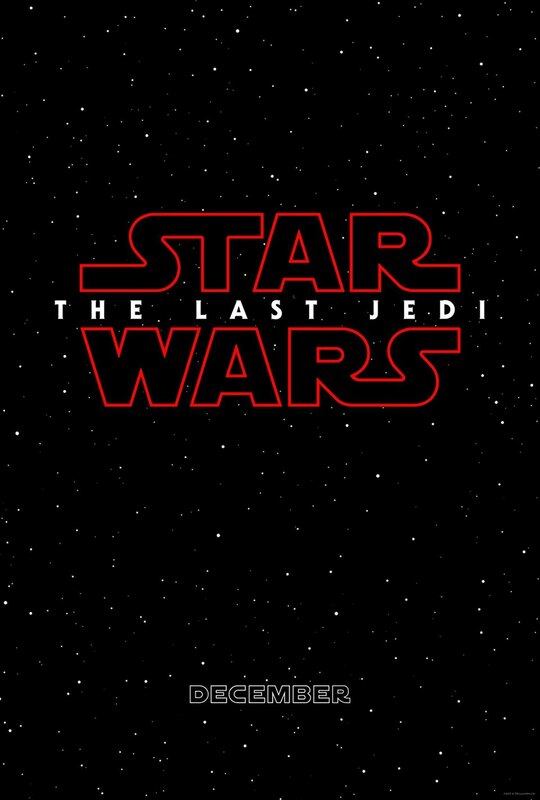 Star Wars: The Last Jedi is written and directed by Rian Johnson and produced by Kathleen Kennedy and Ram Bergman and executive produced by J.J. Abrams, Jason McGatlin, and Tom Karnowski. Many of the cast and characters of Episode 7 will be back and will be joined by new-comers. The movie will star Mark Hamill, Carrie Fisher (rest in peace), Adam Driver, Daisy Ridley, John Boyega, Oscar Isaac, Lupita Nyong'o, Domhnall Gleeson, Anthony Daniels, Gwendoline Christie, Andy Serkis, Benicio del Toro, Laura Dern, and Kelly Marie Tran. Star Wars: The Last Jediwill hit theaters on December 15, 2017.